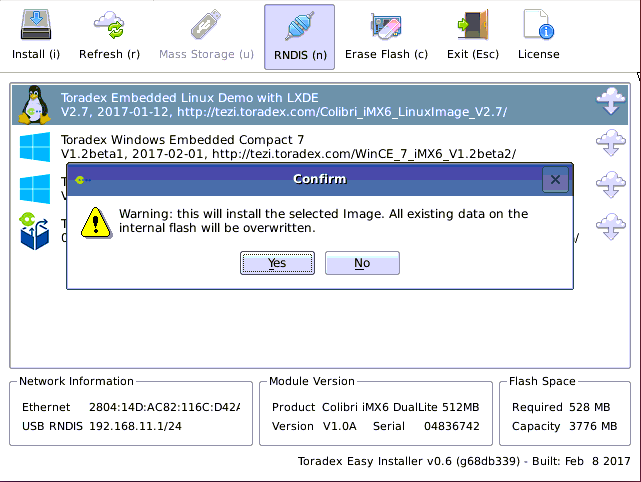 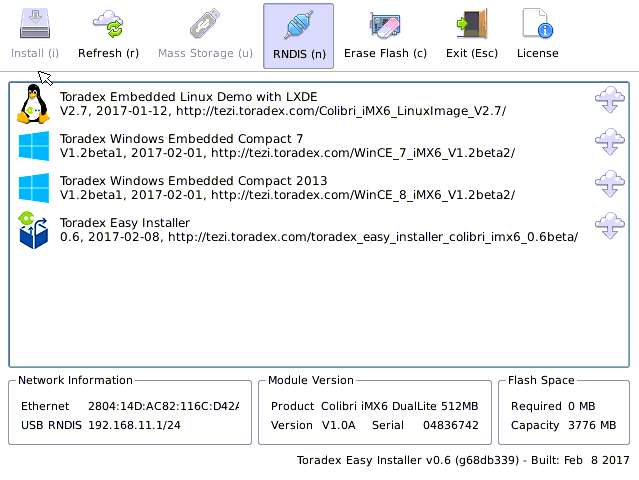 You should see the Toradex Easy Installer displayed on the monitor attached to the VGA port of the Colibri Evaluation Board. 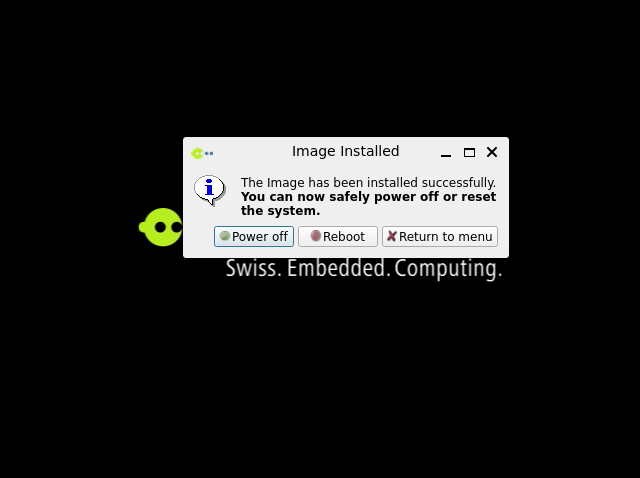 Images available for download are listed. 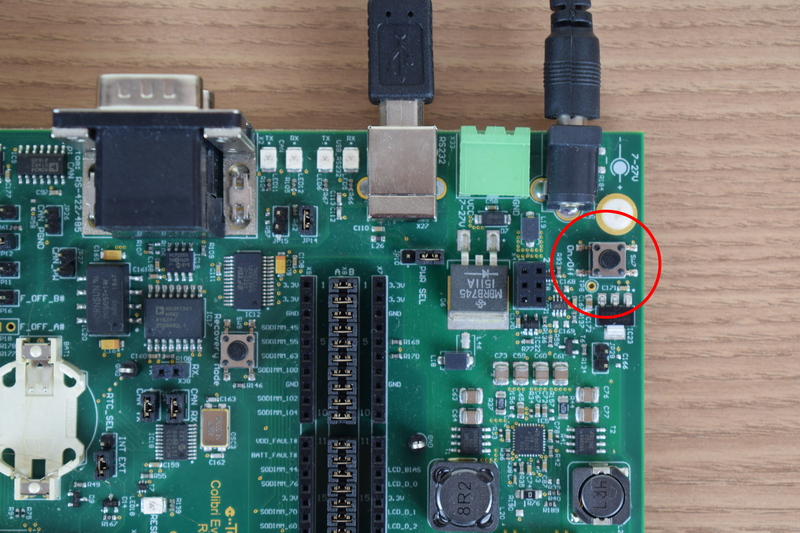 If none are currently shown, check that the Ethernet cable is connected and press "r" to refresh.